or is that all on the one throttle? IDK...I haven't been adding any commands...I'll have to check in QC while I mull over a Jasta 2 transfer. Back from checking. I couldn't find any such command. If I missed it, some one let me know. Last edited by MudWasp; 03/26/15 12:42 PM. This was like an old OFF P3 scramble mission! 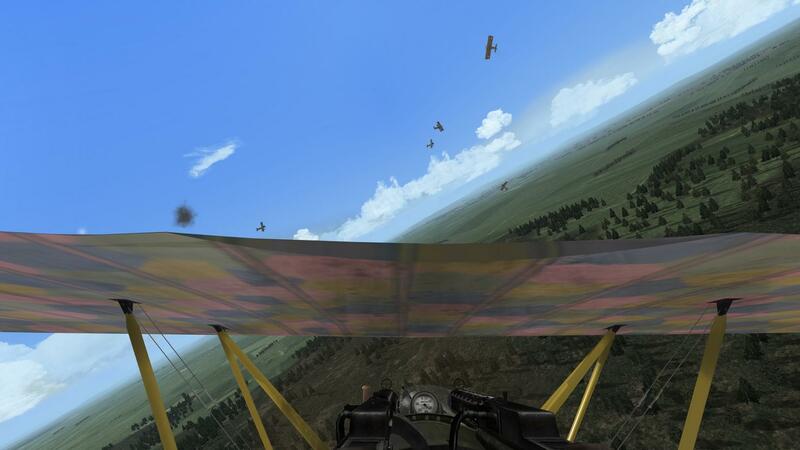 Fritz had just turned from lifting off and spotted flak and two SPAD XIIIs down low over the forest near tree top level! The camo pattern worked well as he almost flew into them, fired a burst at one, and looked out to his tail and watched the DF break out. 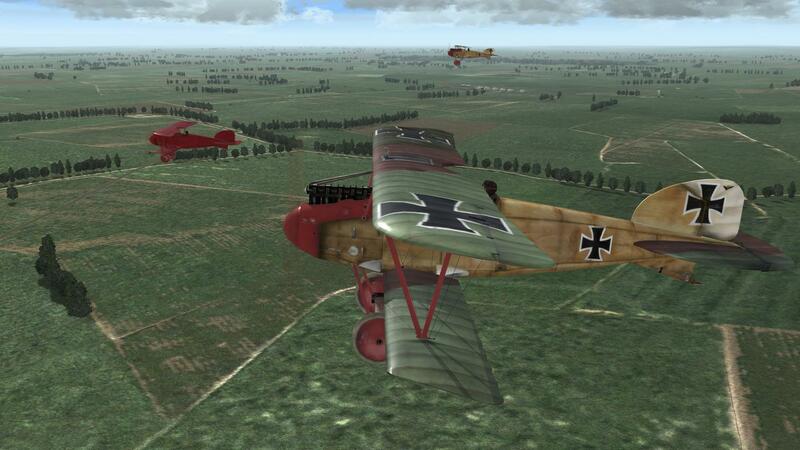 Fritz regrouped his flight and they went on to fly airfield defense without any other enemy encounters before rtb. 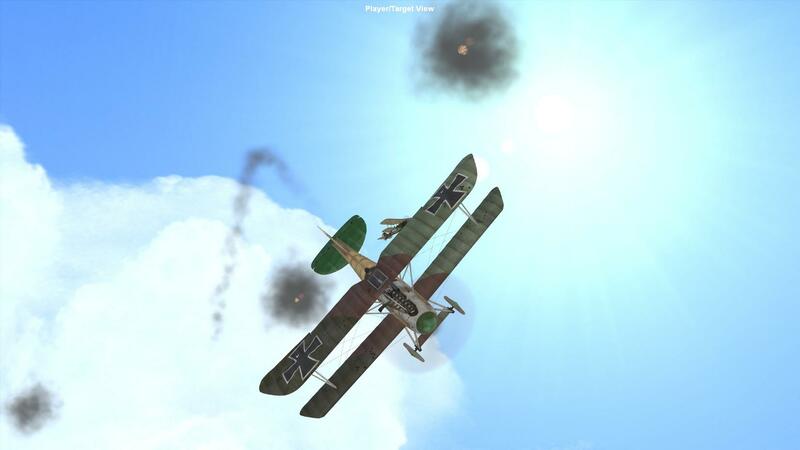 What do you want for breakfast, Herr Leutnant - SPAD VII or SPAD XIII? 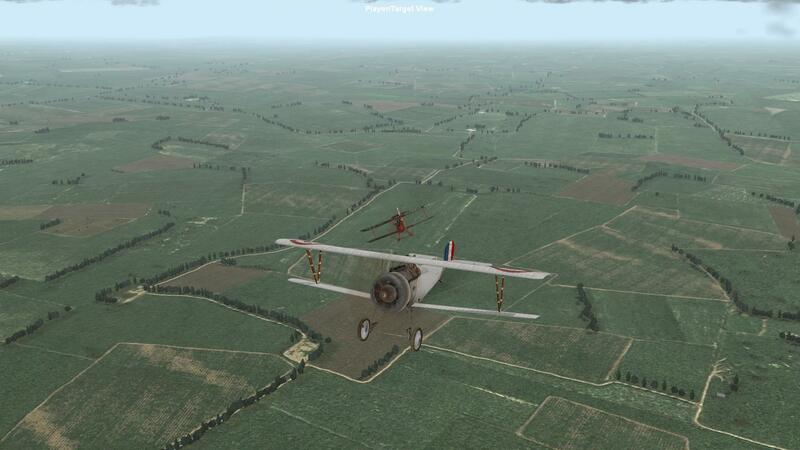 At this stage of the war in Alsace and Verdun, it is SPAD XIIIs only for breakfast, lunch, and dinner. 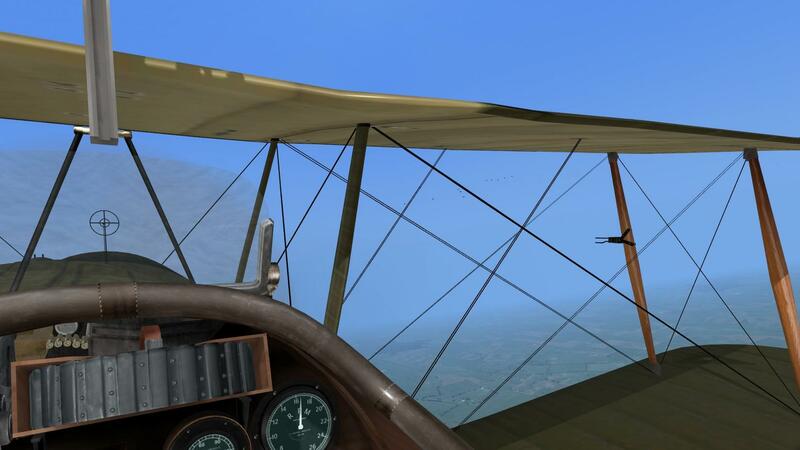 On a crisp fall morning Fritz is tasked with patroling enemy lines and is leading a flight of 4 Fokker DVII F.
They were still climbing to their cruising altitude near Stenay when flak smoke alerted them to the presence of enemy airplanes above them. 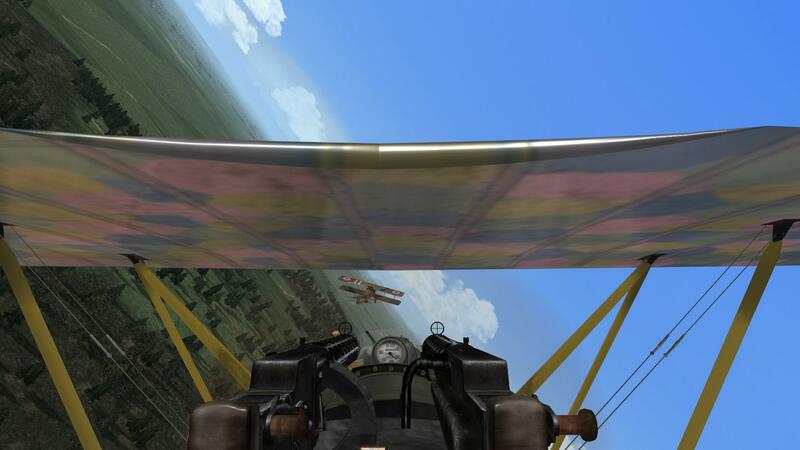 Fritz continued to climb and kept distance between his flight and the flak until he had altitude advantage. 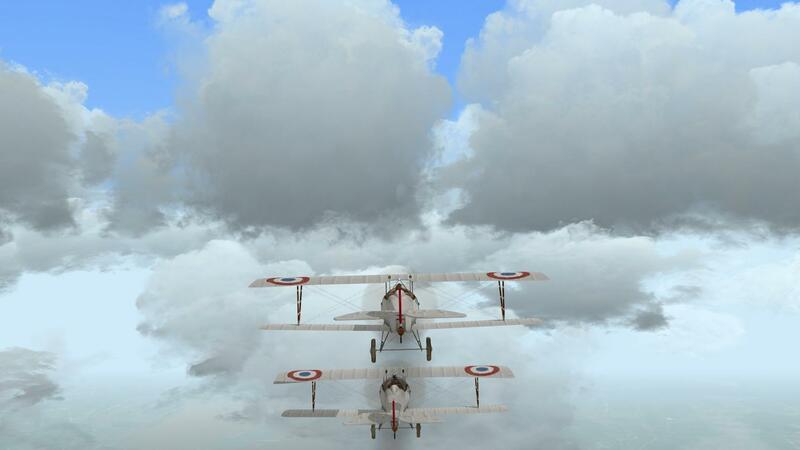 Then he dove on the enemy, which turned out to be three SPAD XIIIs. 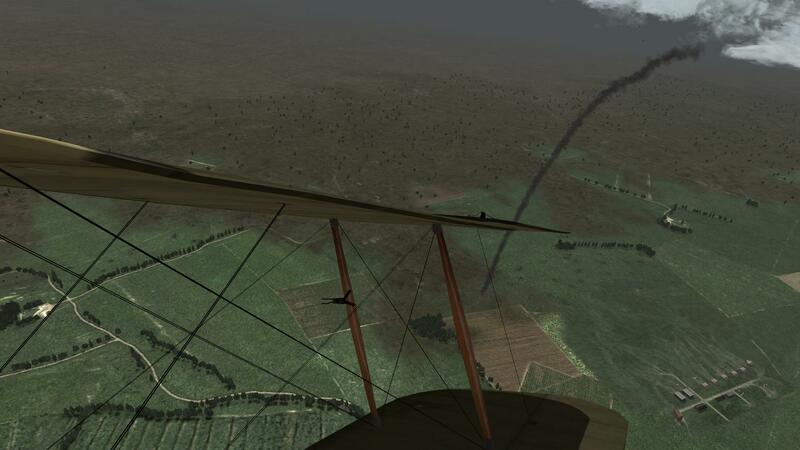 They turned to face the attack and Fritz peppered the lead SPAD heavily causing it to break off. 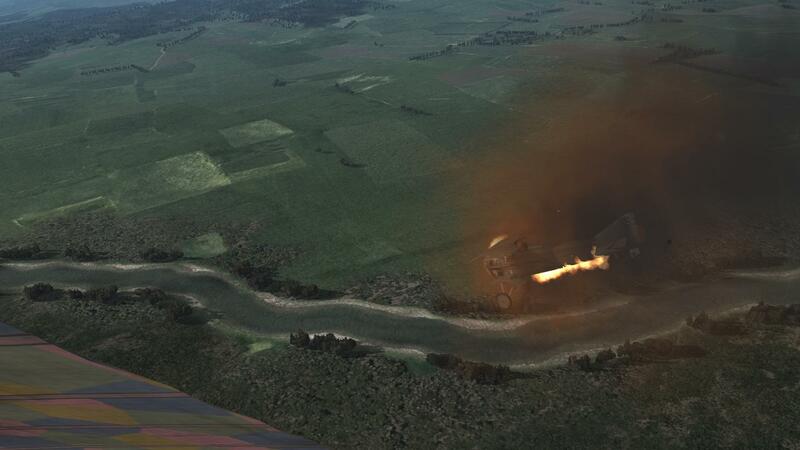 Fritz lined up on it's tail, hammered it at very close range and sent it spinning out of control. At one moment it almost crashed into Fritz as it spun in tight circles. He watched the SPAD tumble to the ground and evaluated the DF. 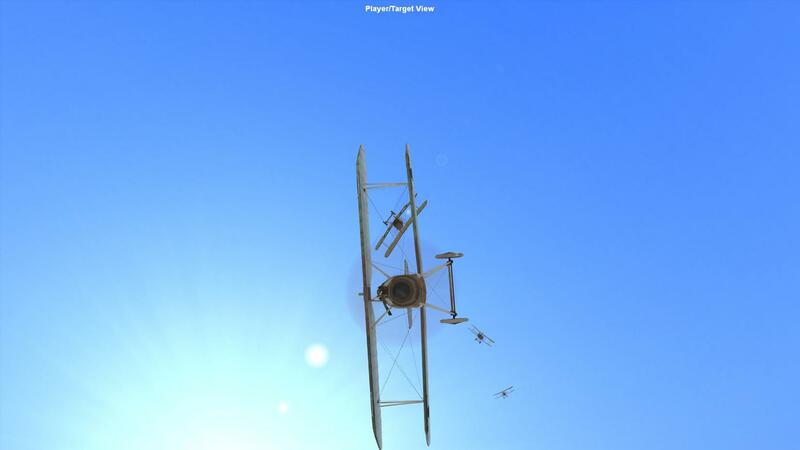 One SPAD still up high was losing to two of his squadmates, a one on one was going on down low. 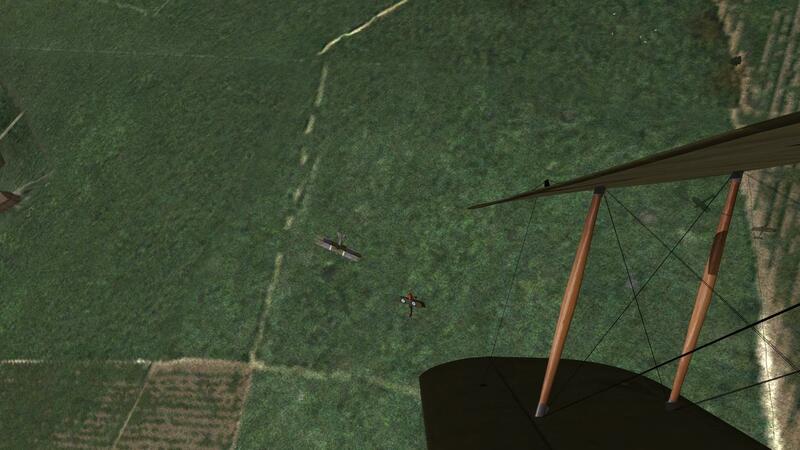 He watched the spinning SPAD crash and dove to help out in the DF down low. 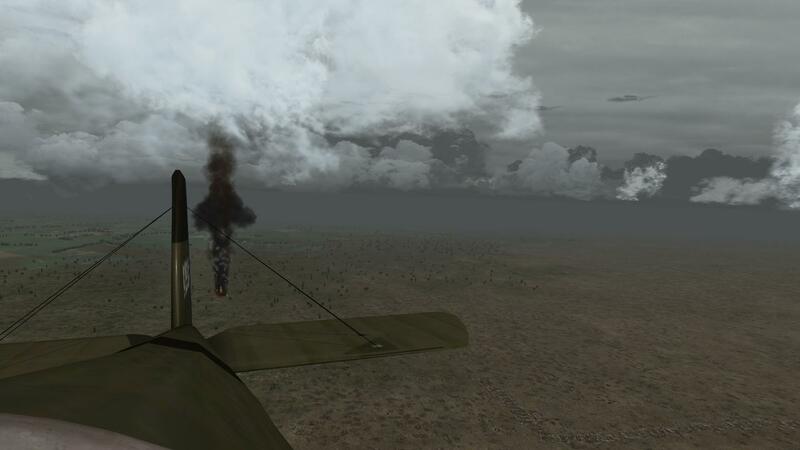 The DF above him was soon over and another flaming SPAD streaked down to the ground. 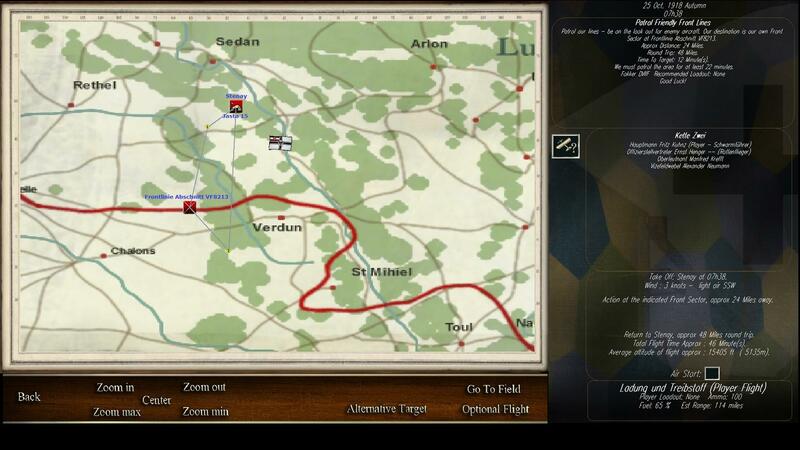 Fritz regrouped his flight and decided to fly cap above his airfield and surrounding areas instead of patroling into enemy territory. No flak spotted, no more EA encountered, all rtb and landed. He is quite the Spad killer. I looked into the manual deployment section and found some DVII F options in Flanders, but the transfer section of the intel page doesn't show those squads as available. Fritz will stick with his exclusive SPAD diet until he dies from it or the war is over. Not much longer to the Armistice! And I guess I need an opinion from fellow WOFF'ers. I normally post in the Screenshot thread pics and a short synopsis of the mission and how my career is going. Would this be better suited here and leave the Scrrenshot thread for pics only? Feel free to post where you want to, Duke - there are no rules for that. Well this place feels more cozy for my style of "half pics/half narrative" posts so I think I will set up shop here and join my pals. Monday April 16, 1917. 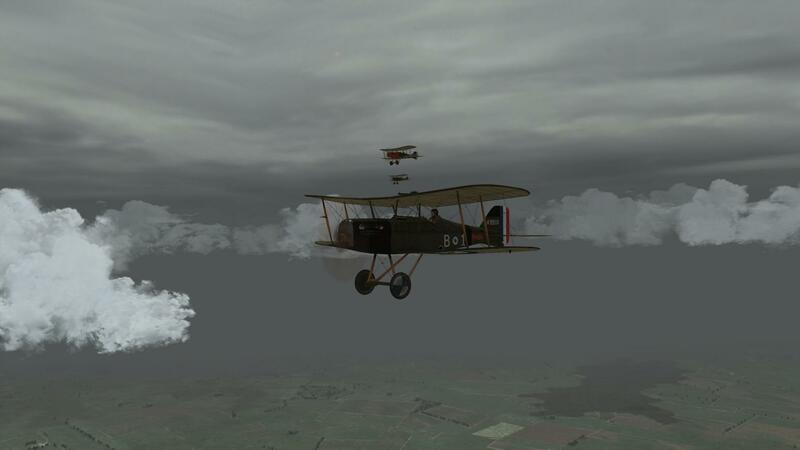 Major Tobias, a fairly new arrival to the squadron, leads B Flight on a patrol. For a long while there is no enemy seen. I believe this is confirming my suspicion that because the Hun is evil he cannot fly in the sun - not that we have had a lot of sun this time of year! Or maybe he is being crowded out of the sky. Lots of RFC gadding about. 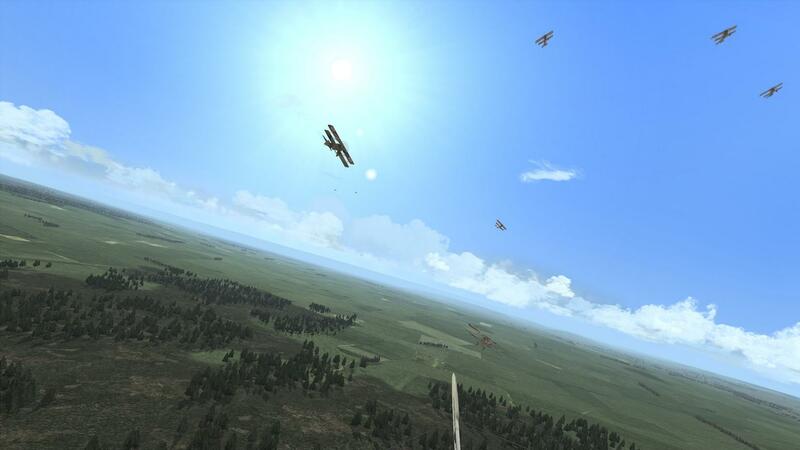 Suddenly the flight dives toward the trenches. Figuring they must be bored and are going the strafe the Hun trenches I follow along but nope. A lone Hun is flying very low over the lines. He picked a bad day for sightseeing as B Flight goes after him like a marlin after a squid. That's me right behind him and we are almost going straight down. I manage a couple of hits but the ground is awful close so I break off. He is finally finished off by our new Major apparently who puts in a claim for him. 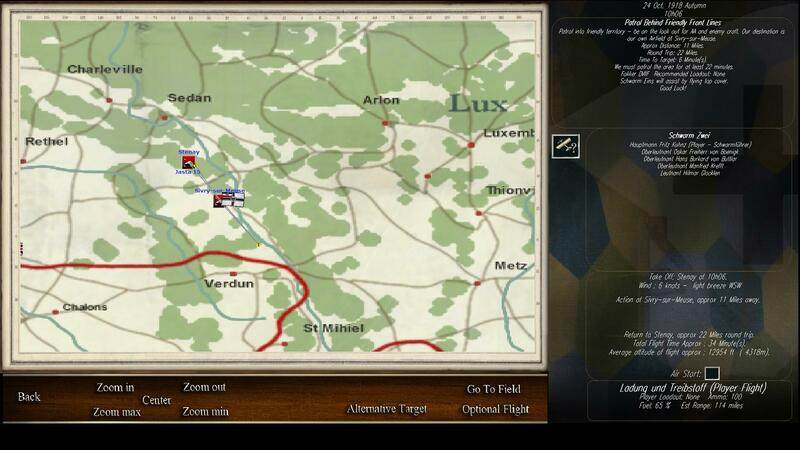 The flight leader, being a new guy, decides to reform low and over a Hun infantry position. I plan to put up with this noob move until the ground fire starts but, besides a few stray shots, it never does. Are the Hun gunners being suppressed by the artillery fire? That's what I tell myself when after a couple of circles we fly to a more reasonable altitude. Everyone returns safe and the Major claims one. 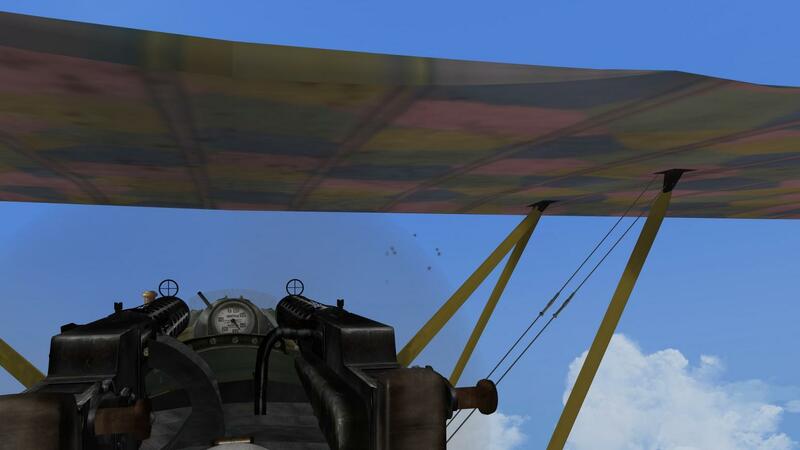 Geeze, the second picture is the sheer horror for an Albatros pilot ... ! Saturday April 21, 1917 leading a B Flight patrol on a DOP. Several days I was assigned as flight leader (17th and the 20th) but the patrols were rained out and apparently we had a couple of days off. Wish someone would have told me I would have gone to town on a bender! Typical weather it seems for a flight to the front. Flying over Hunland for a while all is quiet till I spot 4 or 5 specks flying low and circling. I then see the airfield. Huns landing or taking off. Perfect! This should be easy right? I order the attack. Turns out they are two-seaters and I pick one out, and trying to avoid the observer, only manage a couple of hits when he lights up. I would like to think my shooting is that good but I see airplane pieces fluttering downward. I think one of my boys rammed him. 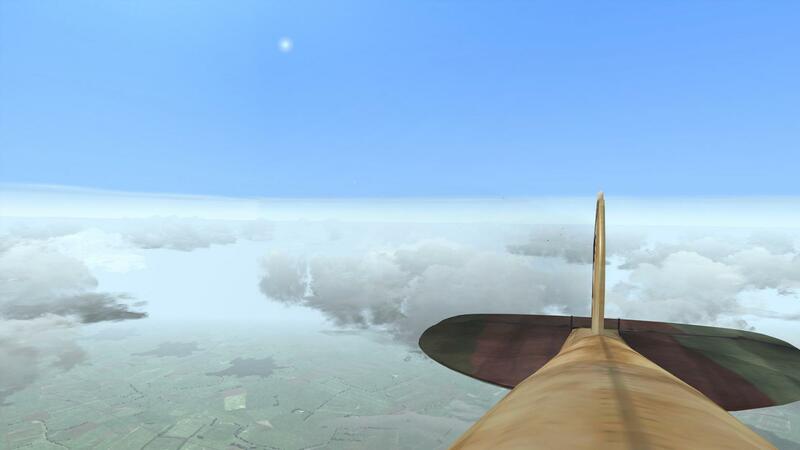 Look for another target and see another flamer streaking across the sky - I think its a Se5. 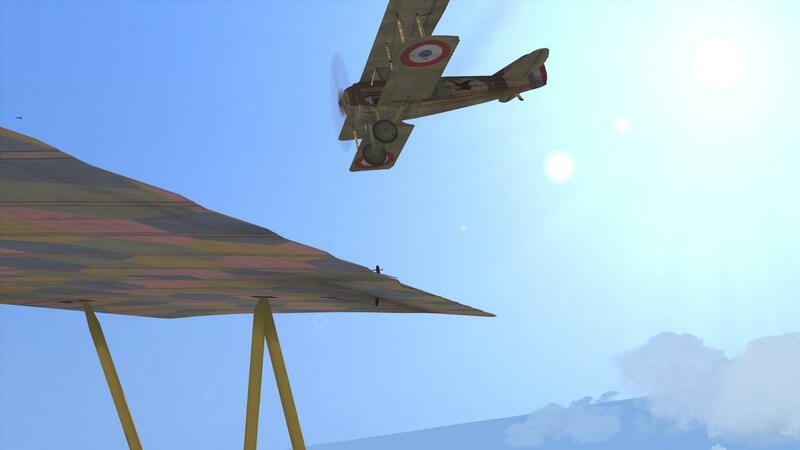 Join HA Maxwell, in his distinctive paint job as he drives this enemy to his final landing. No more enemy planes in sight so I circle around waiting for my flight to form back up but I am only joined by Maxwell. Looking back I see four flaming funeral pyres on the ground...uh oh. In a attempt to salvage this disaster I come across this balloon on the way home and Maxwell watches as I set it alight. Back at base Maxwell and I file our claims. He for two Hun aircraft and me for my balloon. Three flight members are missing and down. In a slight glimmer of hope in my flight leadership catastrophe all three are HA's and work their magic and return to the squadron - minus their destroyed Se's of course. Hopefully the CO won't hold a grudge as my balloon will be Victory #10 if confirmed. 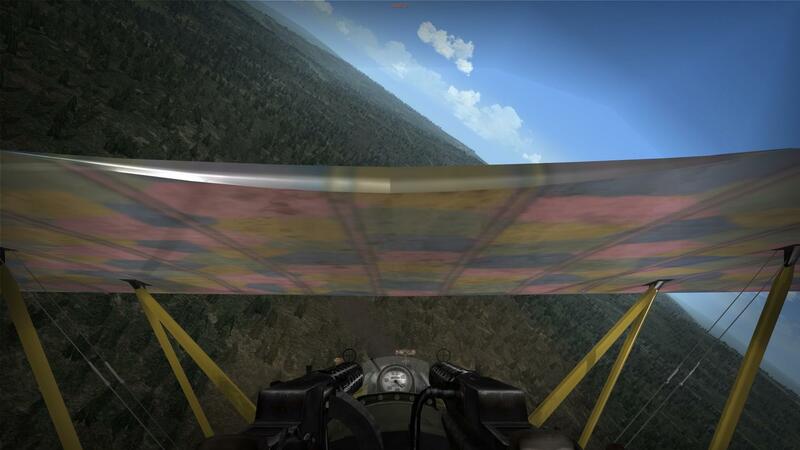 I avoid flying low over the front like that. Sometimes it is quiet, but on other days it can erupt in gunfire. Maxwell and his painted plane stand out nicely. 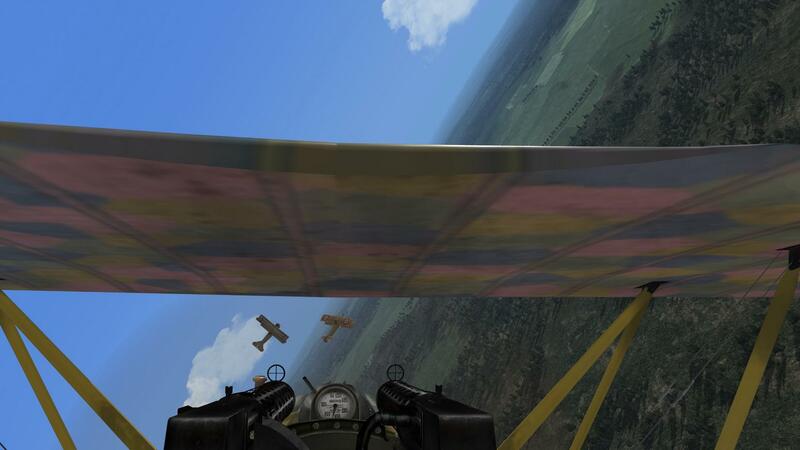 Two seaters...killed many of my AI squadmates. Yes they are quite deadly! So much so I prefer combat against single seaters. I have given up entirely approaches from the rear (realistically enough I suppose) and have been trying head-on and the 10:00 to 2:00 position on them. The AI though, being eager beavers, are not quite so subtle. And I can feel it having been in that position too many times! 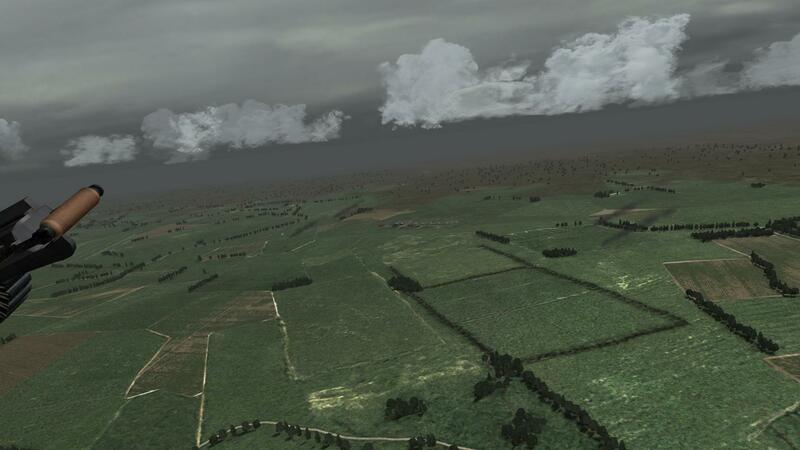 Flew on Sunday the 22nd as flight leader escorting 5 Fee's on a bombing run but the weather was horrible so no contact. 56 Squadron, now getting the hang of their new aircraft, have been switched to "High" mission frequency per the Ready Room so things should heat up in the coming days - weather allowing of course. Today its Monday, April 23, 1917. Flying a DOP with B Flight and Captain Ball is leading. About 5 miles back I am lolly gagging along when the flight jumps like a frog on a hot plate. I fly, make a circle, look around, and see nothing. 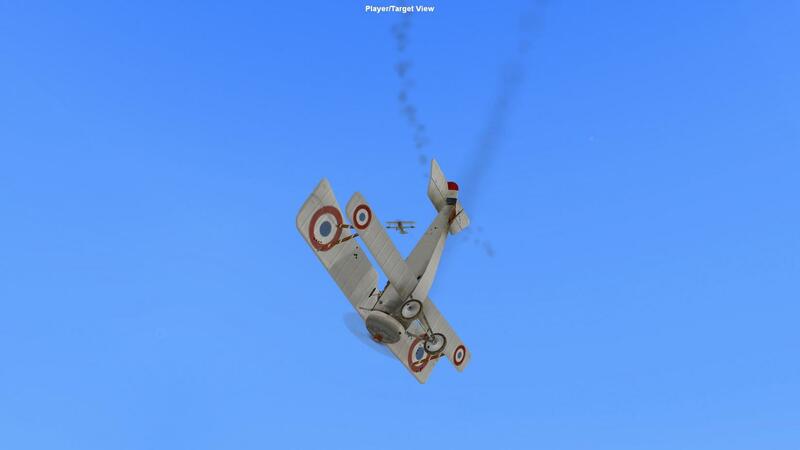 Now fly to catch up to my flightmates when I glance over my shoulder and see an Alb just out of firing range. Give the Se the spurs and with a little dive get out of range and turn to fight him. 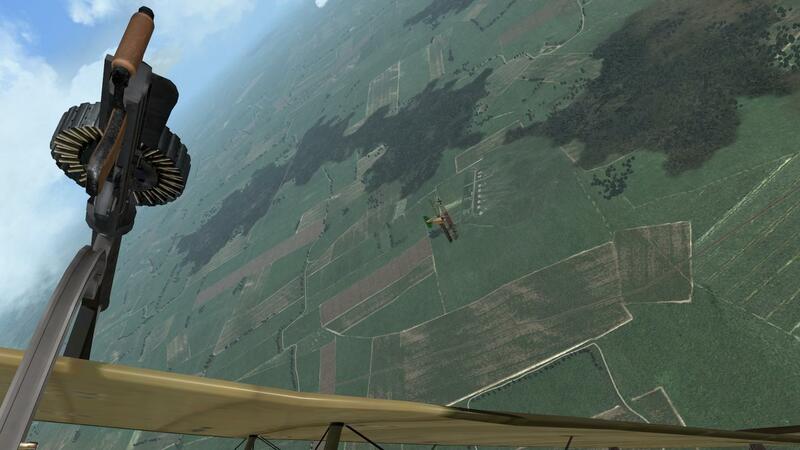 Just lining up for a shot when the rest of the flight arrives to help and shoots him down. I follow him down to make sure he is not faking and he hits the ground and explodes. Looking for my flight I see them high up and head toward them. After a moment I see three specks off to my left at my level apparently also trying to join my flight. B Flight is an exclusive club and we don't allow Huns as Huns they were. I head for the one in the rear and manage a fairly good deflection shot that changes his plans and he attempts to maneuver. Well, well, a green tail. I wonder if Olham is up this early? My flight keeps the other two occupied and I finish this one off. Right after I feel a smack of ground fire and make for the lines. Back at base I see my wingman is reported missing at first but luckily he latter returns to base minus his Se which he crashed somewhere in British territory. He is quite the pilot with almost as many victories as me. I put in a claim for my kill (#11) and the flight claims three others. Dirty Green Tails! Olham! OvS! I am coming for you! Using SOGriffin"s idea for a "Aces 1" mod I start a new career for testing. All is working perfectly. Start with J11 as a Leutnant and am assigned, like everyone else in the Jasta, a DIII (Early). Saturday, April 7, 1917. 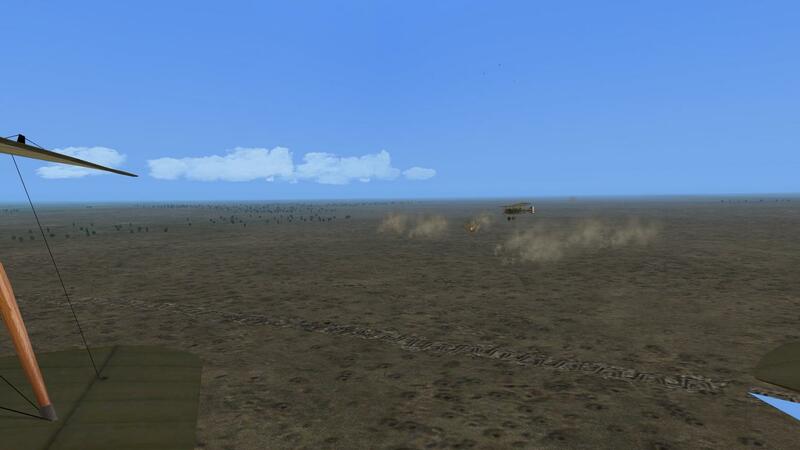 Morning patrol with Kette 2 in defense of our forward airfields. The Britishers have been awful active lately. Wonder what their up too? Kette 2 forms up. We are being led by Germany's ONLY ace so we had better make sure nothing happens to him. Arrive at the threatened field and circle. I see some very low and distant AA bursts but no one else does. Kette 1 is tagging along behind us. More circles when I see more AA and see a formation of 4 aircraft pass about 2,000' below us. No one makes a move so to impress the Jasta Fuehrer I dive to attack. No one follows of course as I am not the leader. As I close on their rear they begin to peel up to meet me and I see the aluminum dope. Neiuports! Lt. DIH may be new but he is not stupid - well not too stupid anyway. Not liking these odds, and while still with a altitude advantage, I use my dive speed and zoom up and reverse. The enemy gives chase. I am holding my own in keeping them at a distance so I plan to lead them back to my Jasta to settle their hash. Genius plan with one major flaw. Where the heck did Kette 1 and 2 get too? I am all alone and the enemy is relentless in their pursuit. This pursuit goes on for so long I actually glance at my fuel level. Try some clouds but the big ones are never around when you need them and all I encounter are tissue thin. The French (as it is revealed getting these shots as I fly without aids) must have had too much wine for breakfast as they chase me about 35 KM behind the lines. I start to wonder if I can claim all four thinking they may not have enough fuel, eventually!, to re-cross the lines. One by one they finally break off till it is just me and one Frenchman. I quickly turn and make a head-on pass, maybe get some hits because in the turn fight I get the upper hand! How does it feel eh? My shooting is good but not perfect. I hit his engine and he is leaking oil. A couple more passes and he nose-dives and crashes in a cloud of dust. Huzzah! Back at base I find that everyone has already landed and is at breakfast. MvR is happy with my claim but not so much about me leaving the formation. He doesn't hold a grudge though as I am scheduled for a afternoon patrol. My claim is filed for a N23 (not sure the difference visually between the 23 and 17) and it is pending.